Twenty years ago, I was loudly proclaiming – to anyone who’d listen – that SUVs were just a fad. Consider my hat duly eaten. Today, a third of BMWs sold worldwide are ‘X’ models and that proportion is set to grow, boosted by the forthcoming flagship X7 and new X2. 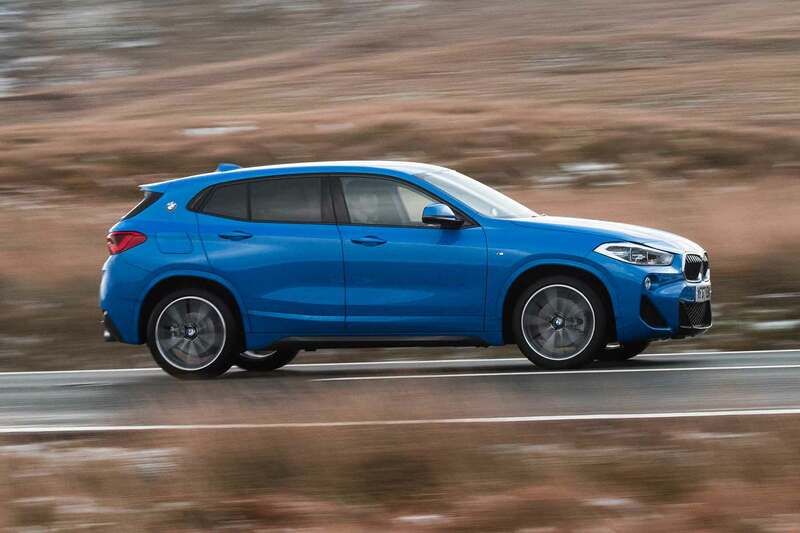 The X2 is, in truth, more compact crossover than fully-fledged SUV. 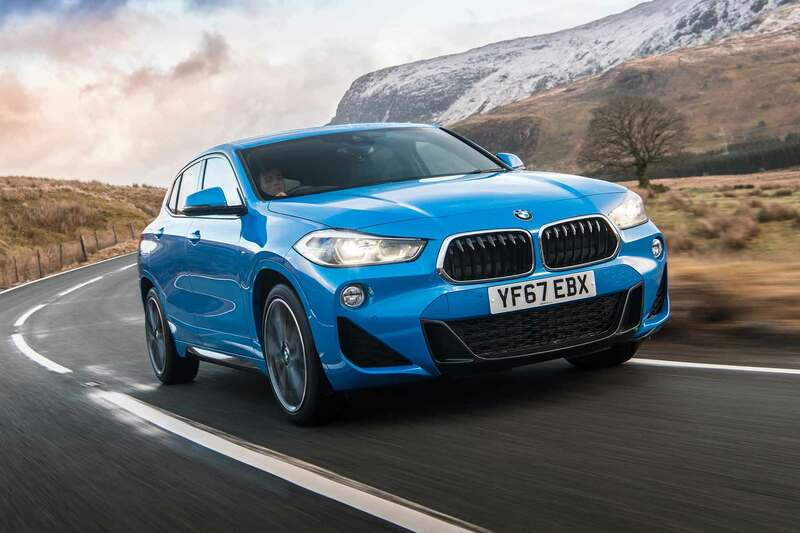 It’s BMW’s answer to the Range Rover Evoque, Jaguar E-Pace and Mercedes-Benz GLA: a sleeker, sportier take on the entry-level X1 for buyers who don’t mind sacrificing space for style. Picture how the X4 relates to the X3, or indeed X6 to X5. BMW offers a choice of three engines: 190hp petrol (badged 20i), 150hp diesel (18d) and 190hp diesel (20d). The 20i is front-wheel drive (sDrive) only, while the 20d is exclusively four-wheel drive (xDrive). Choose the 18d and you can specify either. In terms of transmissions, the 18d comes with a six-speed manual only. Both the 20i and 20d use an auto ’box with paddle shifters behind the steering wheel. 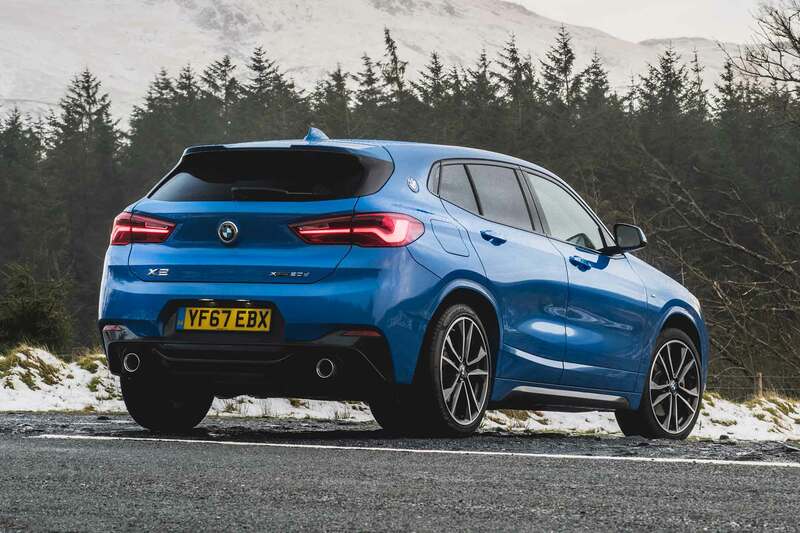 Trim levels for the X2 start at SE, then climb through Sport, M Sport and M Sport X – the latter with plastic body cladding for a more rugged look. Prices range from £30,040 to £38,330. Our test car was a 20d xDrive M Sport (£37,580). Unlike the aforementioned X4 and X6, the X2 isn’t a high-riding coupe. It’s 20mm shorter and 69mm lower than an X1, but its silhouette isn’t radically different. It remains very much SUV-shaped. The differences are in the details. 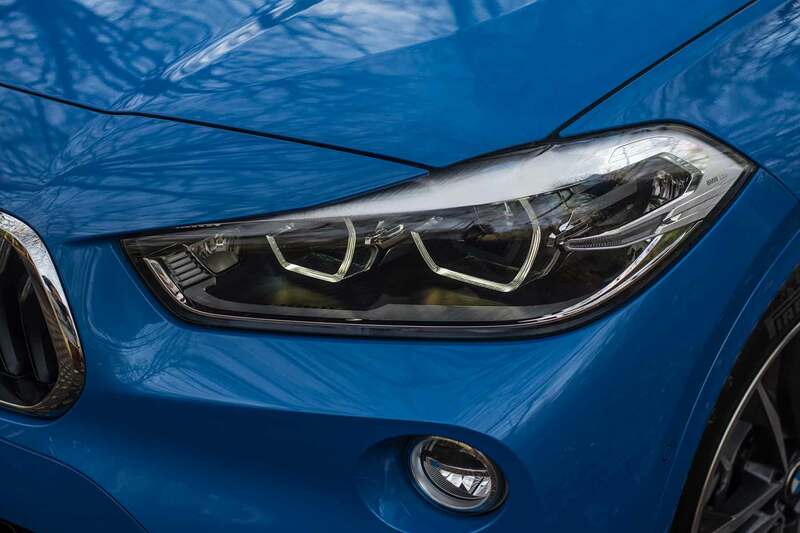 BMW’s traditional kidney grille has swelled in size, and sits atop an angular bumper with aggressive air intakes. In profile, the bonnet looks stubby, the glasshouse shallow, the sides pleasingly sculpted. 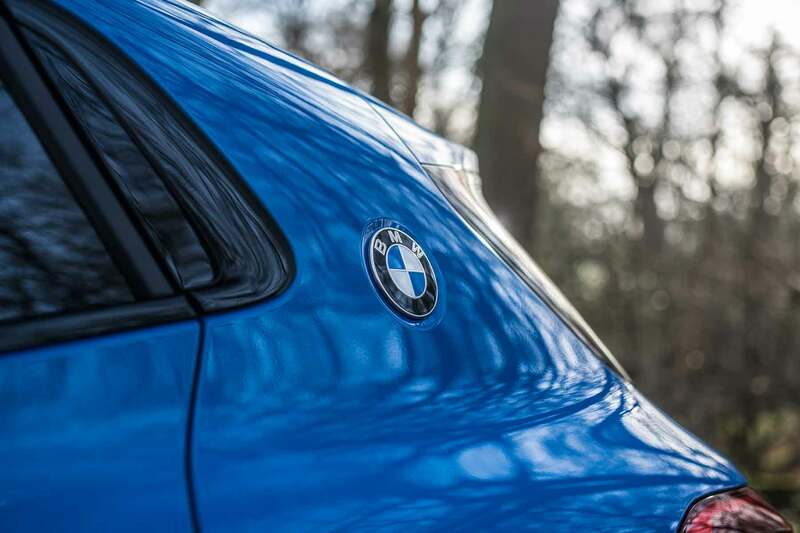 BMW roundels on the C-pillars are a nod to the classic ‘E9’ coupe of the late 1960s (think ‘Batmobile’), while a sharply creased tailgate and twin tailpipes bring up the rear. Overall, the X2 doesn’t have the simple purity of an Evoque – there’s an awful lot going on – but in a sector where distinctive design is de rigueur, it still stands out. Plus, it isn’t downright ugly like an X4, so we’ll call that a win. The X2’s cabin is scarcely less spacious than an X1, although a higher window line and seats mounted 20mm lower make it feel more enclosed. Rear-seat space is fine for adults, though, and the boot holds 470 litres, versus 505 litres in the X1 (and just 420 litres in the Evoque). Perceived quality falls slightly short of arch-rivals Audi and Mercedes-Benz. 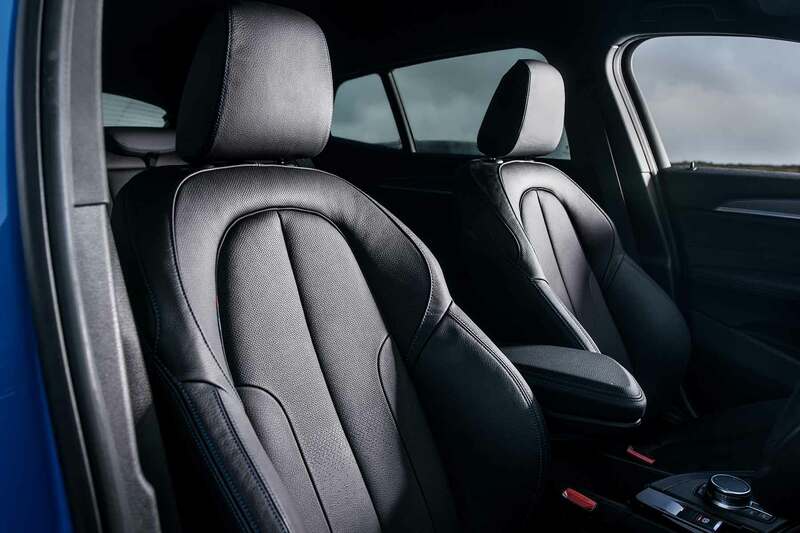 On the plus side, it’s easy to find a comfortable driving position, the M Sport seats are supportive and all the touch-points – including that chunky three-spoke steering wheel – feel great. The dashboard is standard BMW fare: uncluttered and ergonomically excellent, if already a little dated alongside the dual-screen ‘BMW Cockpit’ of the latest 3 Series. The iDrive version 6.0 media system has a touchscreen in addition to a rotary controller and, after initial familiarisation, is straightforward to use. Apple Carplay connectivity is a must-have for iPhone users, but – frustratingly – there’s no Android Auto option. Opportunities for personalisation are also quite limited, though, which seems at odds with the car’s fun-and-funky image. Many of the most desirable extras are bundled into four option packages: Comfort, Driver, Tech and Vision. 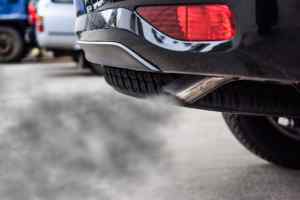 I could live without the electric seats and heated steering wheel of Comfort, or indeed the electric mirrors and reversing camera of Vision. 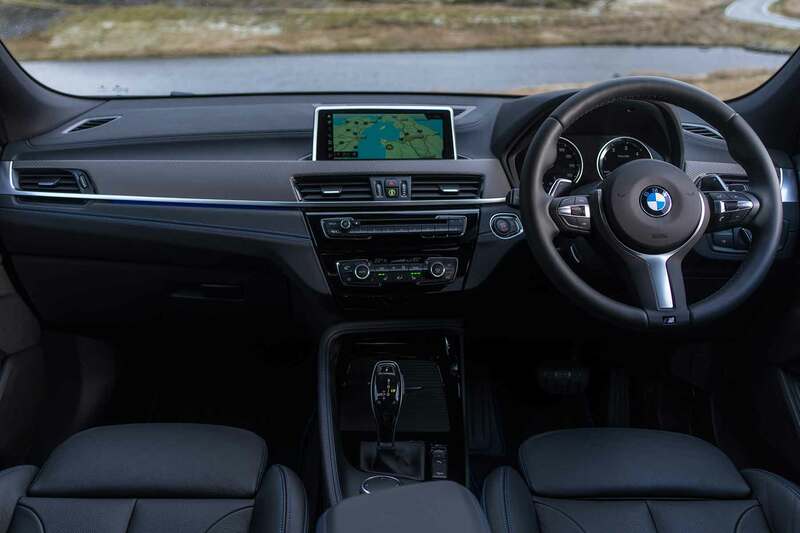 However, the electronic safety aids in the Driver pack (lane-departure warning, high-beam assist, parking sensors) are near-essential, while the Navigation Plus media system and head-up display in the Tech pack are nice to have. The X2 drives very much like a ‘normal’ car. Its steering is light and direct, its suspension supple but pleasingly resistant to roll. It lacks the commanding driving position of a larger SUV, but you’re usefully higher than most other traffic, which also helps when climbing in and out. Sadly, the X2 doesn’t drive much like a BMW, at least not in the traditional sense. Forget the fact it isn’t rear-driven: previously a core part of the brand’s DNA. What’s missing here is a sense of balance, the perfect poise that makes even a boggo 3 Series Touring an entertaining steer. 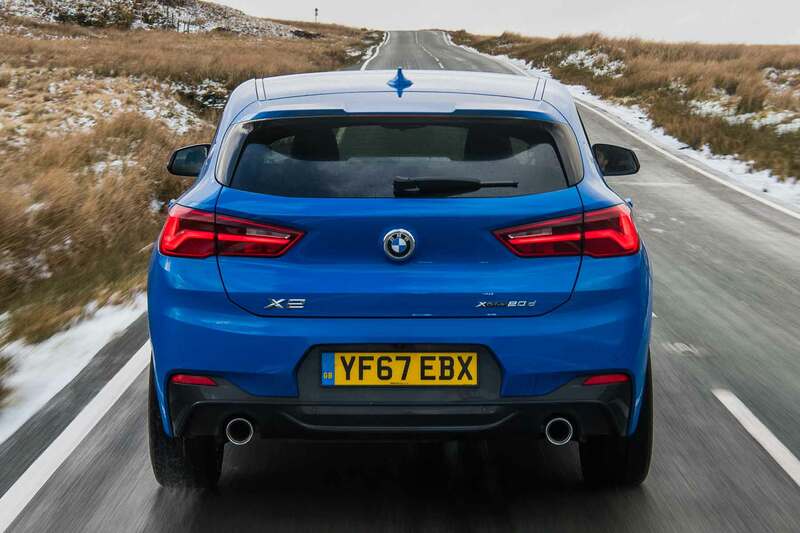 On country roads, where most BMWs would provide an engaging feeling of ‘flow’, the X2 seems heavy and inert. And shifting to Sport mode scarcely helps. Like watching paint dry after necking an energy drink, it sharpens the settings without adding any more fulsome feedback. Frankly, those racy looks promise much more. Around town, on motorways and just about everywhere else, though, the X2 is comfortable, capable and really rather nice. The 20d diesel engine is hushed and punchy, while the eight-speed auto ’box shifts seamlessly and intuitively. 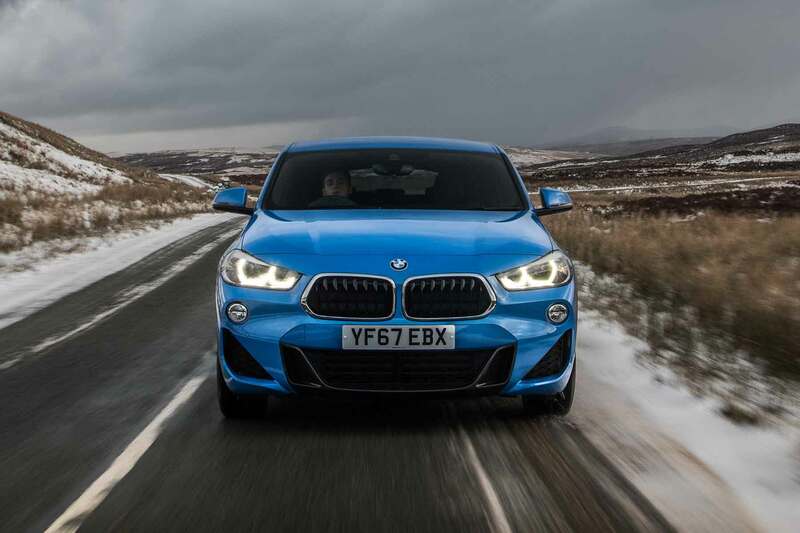 The xDrive 4WD system – which can divert up to 100 percent of torque to the front or rear axle – would doubtless be a boon in cold conditions, too. 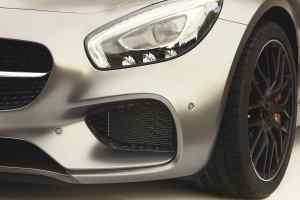 I’d be tempted to test-drive a car on standard suspension as the M Sport set-up, fitted in combination with larger 19-inch alloy wheels, is a little firm for some tastes. An X2 SE on 17-inch wheels would, I suspect, be appreciably softer. Fuel economy and CO2 emissions are impressive, albeit identical to an X1 with the same 20d engine – at 58.9mpg and 126g/km respectively. This is the type of car people are clamouring for. And with smart styling, a classy interior, first-rate engines and, of course, the right badge, the X2 ticks most of the boxes. It looks set to be a strong-seller. As you’ve probably guessed by now, I’d spend the near-as-dammit the same amount of money on a 320d Touring; it’s vastly more engaging to drive and also has a bigger boot. But for those who want SUV looks and the attendant upwardly-mobile image, only an X2 will do. Or will it? The X2 has the legs on the ageing Evoque, Q3 and GLA, but it isn’t the best car in this highly competitive class. That honour goes to the Volvo XC40, which leads the pack in terms of design, packaging, technology and safety. Volvo beats BMW? Now there’s a headline nobody predicted 20 years ago. Which engines does BMW offers with the X2 in 2018?